You’ve just picked up a pattern you can’t wait to make. Hiking is a great way to experience nature and enjoy your time off without lapsing into inactivity. Camping is great way for us to commune with both nature and other people. Contributed by David Galassi, Catalogs.com Top 10 Guru Sandestin Golf Resort has four courses to choose from and 72 outstanding holes to challenge every skill level. Contributed by David Galassi, Catalogs.com Top 10 Guru You always come home upset and complaining about your game. Contributed by Cassie O’Shea, Catalogs.com Top 10 Guru Thanks in large part to his fascinating reality show on television; Bear Grylls has become a leading figure in wilderness survival circles. Contributed by David Galassi, Catalogs.com Top 10 Guru Like every sport, golf has its superstitious players. Contributed by David Galassi, Catalogs.com Top 10 Guru Golf with your favorite foursome is good enough. Contributed by Jennifer Andrews, Catalogs.com Top 10 Guru Kindergarten may arguably be one of the best years of grade school for kids everywhere. Contributed by Tim Brugger, Catalogs.com Top 10 Guru There are those who view the onset (or onslaught) of winter as nothing more than three to four months of cold, dreary days and nights. Contributed by Tim Brugger, Catalogs.com Top 10 Guru Sure, we all love the team uniforms but there’s more going on then what the average sports fan sees. Contributed by Jennifer Andrews, Catalogs.com Top 10 Guru Skiing is a fun and fitness-friendly sport to engage in during the cold winter months. Contributed by Jennifer Andrews, Catalogs.com Top 10 Guru The onset of cold weather does not mean you are meant to hibernate from the winter season and get-fit activities. Contributed by Jennifer Andrews, Catalogs.com Top 10 Guru January is that time of year where most people wish to de-stress from the hectic holidays but also embark on new resolutions and endeavours. Contributed by Tim Brugger, Catalogs.com Top 10 Guru Bushcraft, for the initiated, is essentially Man vs. Wild on steroids. 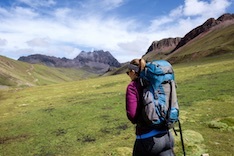 Contributed by Denise McGill, Catalogs.com Top 10 Guru Enjoying the outdoors can be a challenge for some, but not if you have the right outdoor gear. Contributed by Catalogs.com Top 10 Guru There are many mouth guards on the market these days … how do you know which one to choose? Contributed by Jennifer Andrews, Catalogs.com Top 10 Guru Although many people may dread the winter and inevitable snow and cold it brings, for others it is a welcoming pleasure. Contributed by Korina Cornish, Catalogs.com Top 10 Guru Every holiday season, safety experts judiciously advise that you inspect old Christmas lights for exposed wires before festooning your house with them. Contributed by Korina Rossi, Catalogs.com Top 10 Guru Whether you prefer hiking, camping, or kayaking, spending time in nature is a soothing way to end a busy week. Contributed by Tim Brugger, Catalogs.com Top 10 Guru Thankfully, it’s not necessary to have the skill and flair of the artisan to appreciate the work of those that do. Contributed by Lisa Pratto, Catalogs.com Top 10 Guru Parents are always looking for new crafts for toddlers to keep those little hands busy. Contributed by Missy Nolan, Catalogs.com Top 10 Guru Depending on who you ask, fall is the best – and most beautiful – time of year. Contributed by Tim Brugger, Catalogs.com Top 10 Guru If you or your children are the craftsy sort, you know paper is the home artisan’s best friend. Contributed by Marnely Rodriguez, Catalogs.com Top 10 Guru Tailgating is a fun tradition that mainly revolves around two things: the game and the food. Contributed by Tim Brugger, Catalogs.com Top 10 Guru “Go outside and play” is something we all heard growing up; and have probably said to our kids at some point. Contributed by Tim Brugger, Catalogs.com Top 10 Guru No sense staying indoors during the nice, warm summer months. Contributed by Tim Brugger, Catalogs.com Top 10 Guru ‘Tis the season; for hiking that is. Contributed by Tim Brugger, Catalogs.com Top 10 Guru Ironman Triathlete. Contributed by Cindi Pearce, Catalogs.com Top 10 Guru Home is where the heart is. Contributed by Denise McGill, Catalogs.com Top 10 Guru Making and designing your own home décor, jewelry or scrapbooks puts a personal touch to your projects that just can’t be replicated from store bought merchandise. 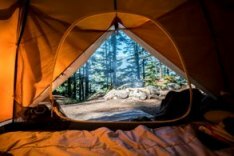 Contributed by Tim Brugger, Catalogs.com Top 10 Guru As any camper worth their salt will tell you, having the right camping gear can make a huge difference in whether or not the trip is a success. Contributed by Rosemary O’Brien, Catalogs.com Top 10 Guru During this economic downturn, many people have begun their own businesses. Contributed by David Galassi, Catalogs.com Top 10 Guru Dig yourself out of your man cave for some guy time on the golf course, which is best spent away from home, the family, work and other daily distractions. Contributed by Tim Brugger, Catalogs.com Top 10 Guru Ah, a life of leisure. Contributed by Cara Hartley, Catalogs.com Top 10 Guru Taking the road less traveled has its own rewards for those who crave adventure. Contributed by Cindi Pearce, Catalogs.com Top 10 Guru When the weather breaks and sunshine beckons us outdoors it’s time to start playing. Contributed by Denise McGill, Catalogs.com Top 10 Guru As biking increases in popularity, it is important to get the most performance and enjoyment from your bicycle. Contributed by Tim Brugger, Catalogs.com Top 10 Guru For long time fans, the idea of trendy looks and golf being used in the same sentence was the epitome of an oxymoron. Contributed by Marnely Rodriguez, Catalogs.com Top 10 Guru With the arrival of spring, what better way to embrace the flowers then to dedicate a decorative painting project to them! Contributed by Suzanne Baldwin, Catalogs.com Top 10 Guru Sailing jargon is almost a language unto itself. Derived from centuries of nautical phrasing and shorthand, it’s a daunting prospect to understand certain terms, much less learn how to them. Contributed by Cindi Pearce, Catalogs.com Top 10 Guru The outdoors is there for a purpose: For you to get out in it and experience it and take advantage of it. Contributed by Tim Brugger, Catalogs.com Top 10 Guru Golfers, like all athletes, are on a never-ending quest for the perfect game. Contributed by Denise McGill, Catalogs.com Top 10 Guru Quilts have been a part of Americana for over two centuries. Consisting of two layers of fabric with fluffy batting in the middle, quilts provide warmth through chilly winters and are a colorful collage of patterned fabrics. Contributed by Tim Brugger, Catalogs.com Top 10 Guru Sports fans love their teams, and there is a method to dressing in support of your team, whether you are watching the game at the stadium or in your man cave. Contributed by Tim Brugger, Catalogs.com Top 10 Guru Heading out to sea on a sailboat means that you need to pack some basic items that will take you from novice sailor to all-hands-on-deck. Contributed by Cherilyn Martinetti, Catalogs.com Top 10 Guru Looking to do your first triathlon? For runners, bikers and swimmers, a triathlon is a feat of conditioning, endurance, perseverance and commitment. Contributed by Cara Hartley, Catalogs.com Top 10 Guru In today’s fast-paced world of convenience and consumerism it is easy to forget that we are all inextricably connected to the environment in which we live. Contributed by Robert P. Simon, Catalogs.com Top 10 Guru Getting your kid involved in sports at a young age is an excellent way to teach them the values of teamwork, hard work, and discipline, as well as to keep them fit and healthy. Contributed by Cindy McKie, Catalogs.com Top 10 Guru Crafts give us a chance to create something beautiful out of simple objects with our own two hands. The only downside to some crafts is they can take months, even years, to master. Contributed by Tim Brugger, Catalogs.com Top 10 Guru When hiking, planning for the worst and hoping for the best are words to live by. When hiking excursions turn ugly, it is often due to planning negligence. Contributed by Robert Blaine, Catalogs.com Top 10 Guru Since the mid 80s after the movie Beat Street rocketed to fame, hip hop dance has been, without a doubt, the most popular youth dance form of the last couple decades. Contributed by Cindi Pearce, Catalogs.com Top 10 Guru Spring is here or at the very least right around the corner. You just know it. Contributed by Rosemary O’Brien, Catalogs.com Info Guru Papercrafting is one of my favorite hobbies. It makes you feel like you are in kindergarten again while you cut and paste paper, and it’s not just construction paper anymore. Contributed by David Galassi, Catalogs.com Info Guru Sports fans are known for their superstitions and good luck charms. Contributed by Cindi Pearce, Catalogs.com Info Guru Time drags when you have nothing to do. The challenge is to come up with things to do when you are bored. Contributed by Rachelle Dawson, Catalogs.com Info Guru Beads are readily available in so many colors, shapes, sizes, and materials that you can try a wide range of bead crafts and still be trying new things for a long time. Contributed by David Galassi, Catalogs.com Info Guru Long lazy summer days fishing with grandpa make great childhood memories. Contributed by Rachelle Dawson, Catalogs.com Info Guru Stickers can decorate notebooks, cards, and paper crafts. Other places to use stickers include personal property, clothing and charts. Contributed by Aurora LaJambre, Catalogs.com Info Guru There’s a universal secret about crafts that children are not meant to know. If there are children around, please guard this secret with all of your might and main: crafts are educational. Contributed by Aurora LaJambre, Catalogs.com Info Guru Sports fans come in all shapes, sizes and political affiliations, but they all have one thing in common: when its game time the dishes can wait and whoever is calling can leave a message. Contributed by Aurora LaJambre, Catalogs.com Info Guru Some people collect stamps or Victorian fairy lamps, others collect experiences. For instance, sports fans often travel with a mission. Contributed by Emily Gerson, Catalogs.com Info Guru Golf is a challenging but peaceful sport that requires strict etiquette to ensure the safety and enjoyment of all players. Contributed by Robert P. Simon, Catalogs.com Info Guru With the start of another college football season it’s time to take a look back at some of the college football programs that have truly changed the landscape of the game. Contributed by Robert P. Simon, Catalogs.com Info Guru For many former athletes it’s hard to forget the glory days. After leaving college I found that there was something missing in my workaday life.